Action Figure Insider » WizKids Announces Doppelgänger—Available Now! Hillside, NJ —August 22, 2018 — WizKids is excited to announce that its new hidden traitor adventure game, Doppelgänger, is now available in North American game stores! In this exciting fantasy game, designed by Steve Avery & Robert Burke, most players will become Loyal Adventurers seeking three Artifacts of Light, but some among their number are secretly Doppelgängers, traitors seeking to collect three Artifacts of Darkness or kill a member of the party. Players will have 16 fantasy hero archetypes to choose from in order to complete a variety of quests while the Doppelgänger attempts to sabotage their progress. 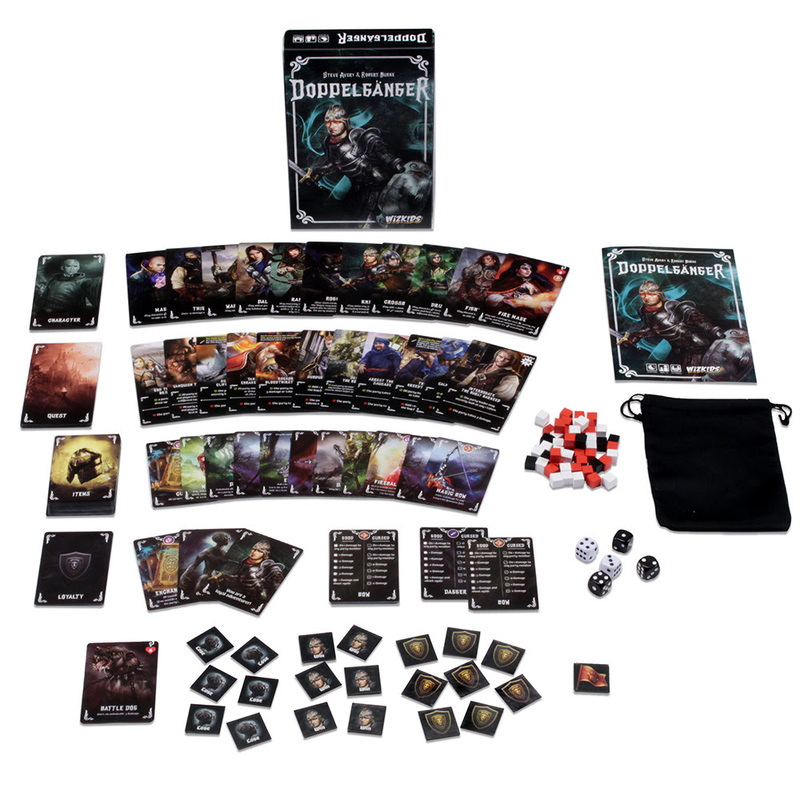 Doppelgänger is available for $24.99 SRP at your Friendly Local Game Store or online today!